When I read the synopsis for this book, I thought, ok, hasn’t this topic been done already? But, as I read the book, I realized, that while there is one similarity to The Selection by Kiera Cass, this book takes that general idea, and enhances it a thousand fold. Adelaide, a young woman, who, next to her grandmother, is the last surviving member of her very high class family. She has to marry well, in order to continue her famous line. However, Adelaide, does not want to marry for duty, and dreams of being able to choose her future husband. She accidentally stumbles upon a sales pitch that is being presented to one of her maids reguarding The Glittering Court. This organization gathers attractive lower class young women, houses, and trains them to be upper class. They are dressed in fine clothes, taught to manage a house or manor, eat with the correct utensils, speak proper English, etc. These young women will be brought to the “New World” where they will go to parties and meet gentlemen with money who will essentially purchase them as wives. Well, Adelaide sees this as her chance to get out of Osfria (her country), and switches places with the maid for the chance to pick her own husband. Predictably, the women are very competitive with each other, as they were in The Selection, but that is pretty much where the similarity ends. 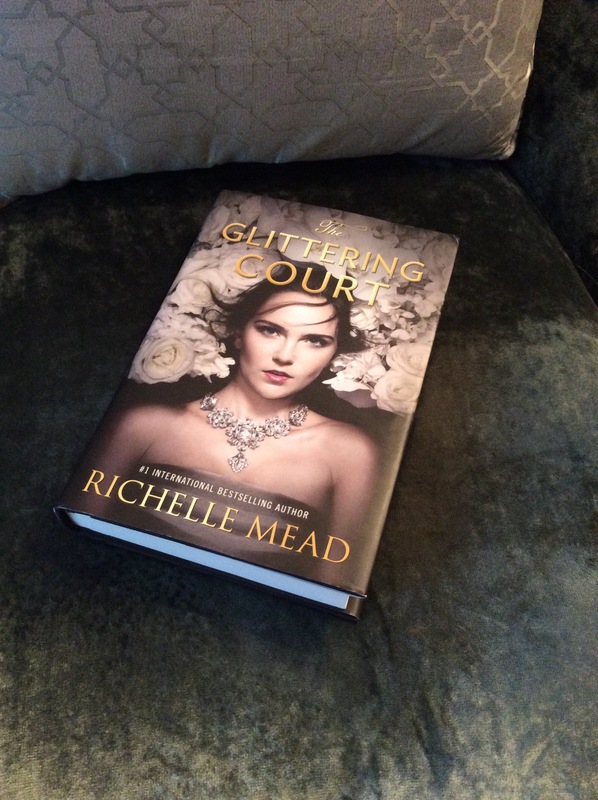 In The Glittering Court, the women have the illusion of having the power. Until, one of them falls for someone unacceptable, who can not afford to pay the bride price. This New World that Richelle Mead has created, sounds an awful lot like America’s past history. As the French, English and Spanish found our new world, and fought the local indigenous race, so too did the Osforians in this author’s universe. In my minds eye, I pictured Nathaniel Hawthorne’s wooden cities and forts, the Scarlett Letter’s strict morals, and the Salem Witch trial’s religious fervor. 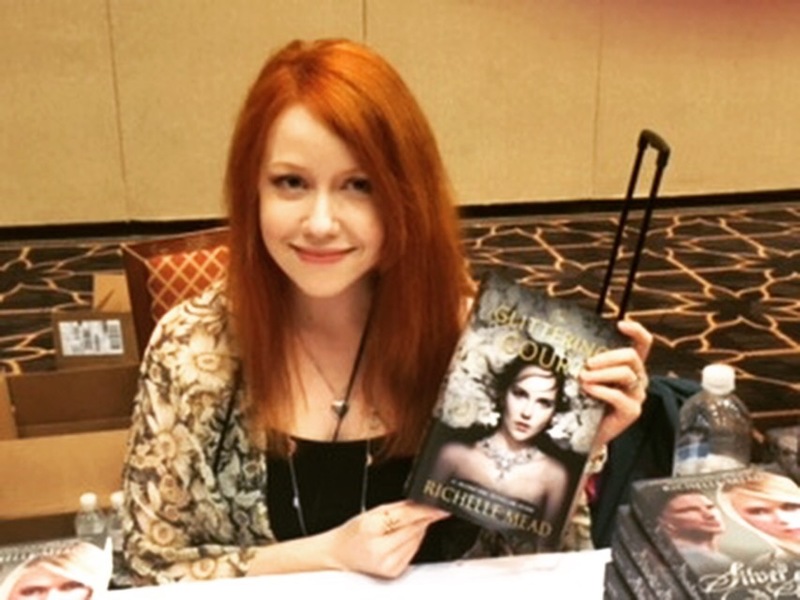 As with other fantasy authors the use of creating a new world allows the author to write about sensitive subjects in a way that is not too pointed. We understand the lesson, and are not offended with the telling of it because it is not black against white, or Catholic versus Protestant. This is why I love this genre so much, it truly allows an opinion to be expressed, even if only in a fantasy universe. I thought this novel was very well done, and will certainly look forward to the second novel in this series! a Rafflecopter giveaway. Contest is over!! The Selection fell way short for me. It could have so much MORE. I’ve seen this book around but never really looked into it. I agree. This is a little more gritty than the Selection. Also, it’s a little more adult too. If you read it, let me know what you think!